Gailey, William R. E 24 Toeman Penna. 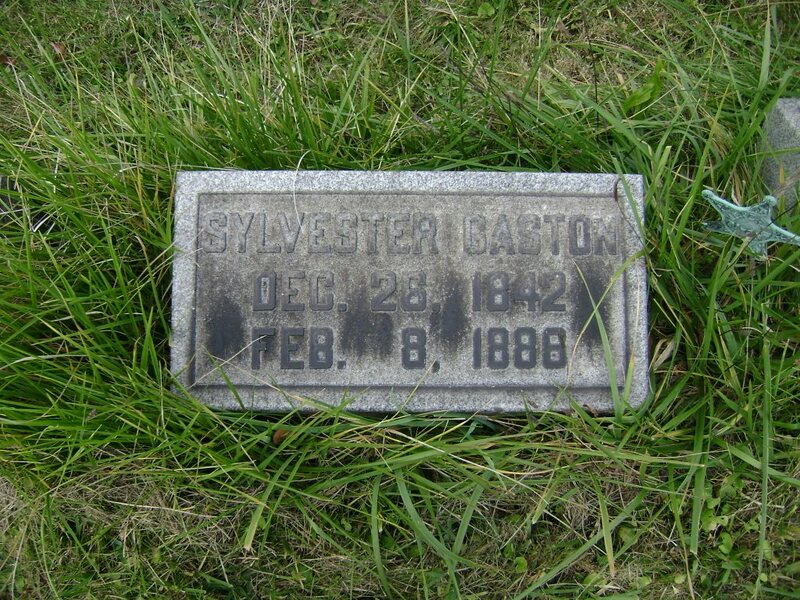 April 5, 1837 27-Aug-1923 New Castle PA not found X Last name "Gealy", wounded at 2nd Bull Run 8-29-1862. Lay on field for 5 days. Gallagher, James D 24 laborer Ireland not found 1861 enlistee, no further information available on ACWRD. Gallagher, James F 24 Butler, PA 31-Dec-1915 Axtell, Marshall Co. KS 29267088 Per ACWRD, woiunded in the hand at Fort Stedman, March 25, 1865; birth location; per findagrave, middle initial "F"
Gardner, Richard I 22 June 17, 1840 July 9, 1886 Shenango Twp. Lawrence Co. PA not found On 8/31/1861 he mustered into "I" Co.; He was discharged on 3/19/1863; Buried: Center Church; per ACWRD birth and death info. Garling, George W. D 23 Franklin Co. PA April 21, 1840 1-Sep-1904 Franklin Co. PA 76819066 1865 Draftee, most information found on findagrave listing., middle name "Washington"
He was listed as: Wounded 5/24/1864 North Anna River,VA; After the War he lived in Sheridan Ave, New Castle, Pa; buried in Graceland Cemetery, New Castle, PA--no service information on gravestone. Gates, John F 17 gardener Princeton, Pa. Feb 17 1862 Beaufort SC not found Per ACWRD, died in camp hospital of dysentery. Gay, Elmer W. M 17 July 2, 1845 11-May-1901 Corning IA 41406237 Oak Hill Cemetery, Adams Co.
Gelatt, Sizer G 21 Pennsylvania May 17, 1879 Susquehanna Co PA 66462189 Per ACWRD, on 3/31/1862 he mustered into "G" Co.; He was Mustered Out on 3/30/1865; (Sick, on steamer "West Point" when it sand in Potomac River,Aug 13, 1862); middle name "Grovener" from findagrave info that states "died from injuries related to the Civil War. 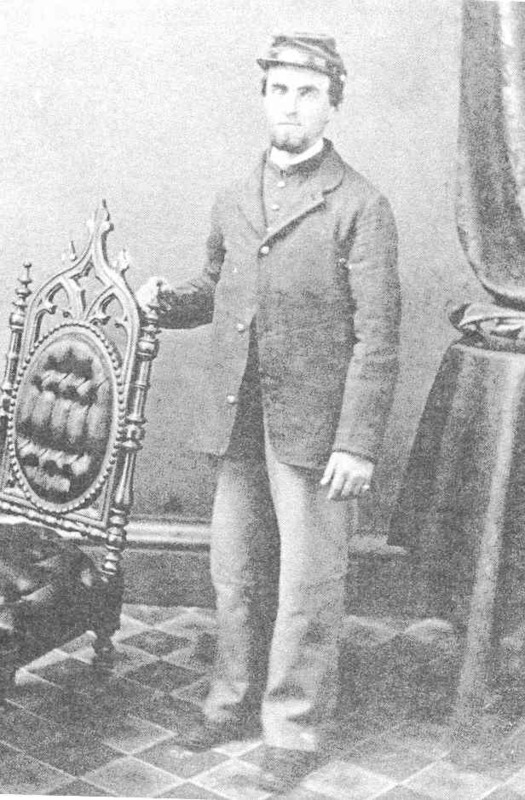 Gibb, Alexander C 36 dark 5' 6 1/2" brown dark Currier not found 1864 recruit; No further record found on ACWRD. Gibson, James C 18 6-Jan-1908 not found After war lived in Kentucky per ACWRD. Good, Christian M. G 17 8-Nov-1919 Lathrop MO not found Per ACWRD, March 6, 1865 substitute--mustered out with regiment July 24, 1865. Gordon, Jerem'h C. M 22 New Castle, PA June 13, 1842 6-Mar-1929 Franklin Co. PA 81663234 Per ACWRD, On 2/22/1865 he was drafted into "M" Co. --He was Mustered Out on 7/24/1865; middle name "Clinton". Gordon, Robert A 23 not found 1865 Substitute--wounded at Fort Stedman, 3-25-1865; data per ACWRD. Gormley, Joseph C. F 19 farmer Eastbrook, Pa. not found Per ACWRD, 1861 recruit deserted 4-10-1863. Goss, Abraham D 21 Beaver Co., Decatur PA Penna. 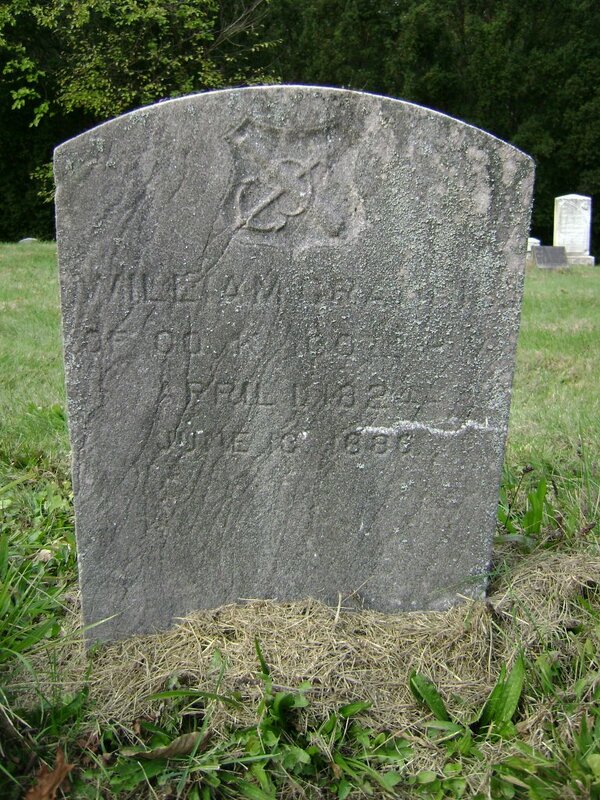 1844 3-Feb-1924 Philipsburg PA X 19066338 1865 Draftee, lived in Williamsburg, PA; no other info available from ACWRD. Gosseline, E.W. 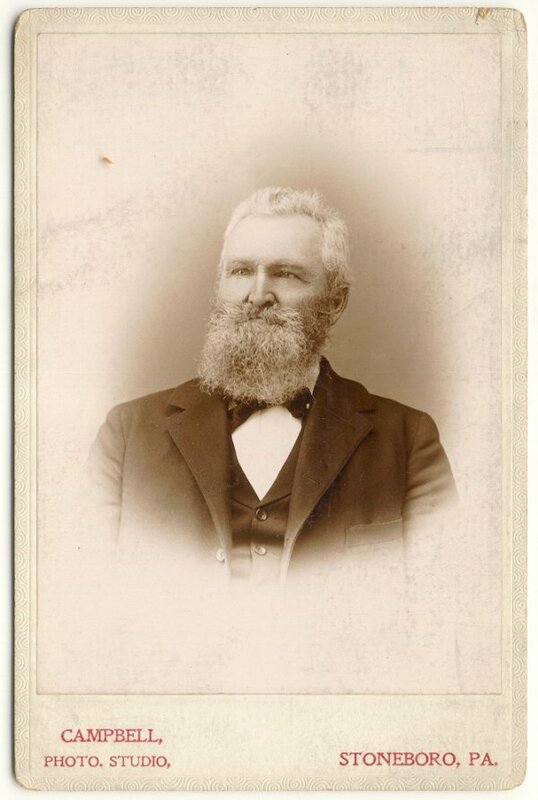 B 20 painter New Bedford, Pa. July 17, 1879 Mohegan Bluff CA not found Not on M.O. roll. ; death date/location per ACWRD. First name Elhanan; NOTES: The following was submitted by: Mike Hammerson; You have E.H.Gosline, Co.B, 100th Pennsylvania Infantry, presumably from Pa records. I have recently got a letter from him (bought one, that is, not received from him...), which gives his first name as Elhanan, but he spells his surname as Gosseline. In March 1862 he is on engineering duty at Fort Pulaski; while the regiment is at Beaufort, they are not shown as serving at Pulaski, and in his letter he indicates that he is unhappy there and is seeking a transfer - to what, is not stated, nor whether he achieved it. He was clearly a lost soul; his wife or fiancee had died recently, he was in some despair, and he was thinking of moving west, probably to Kansas, when he is discharged. You have him as ending up in California, and dying in 1879 in California, which fits in. The letter gives no clue as to his age, but it is to his mother, who is still alive, and he appears to have a young sister - perhaps aged 5-15 - so is probably in his 20s. Grace, Wilmot G 18 1888 not found Feb 20, 1864 recruit--mustered out with regiment July 24, 1861. Graff, John B 25 not found Deserted 7-10-65 at Harrisburg, Pa.
Grannis, William K 41 Lawrence Co., New Castle April 11, 1824 June 10, 1886 New Castle PA X 16060234 buried in Greenwood Cem; widow Catherine, per 1890 census. 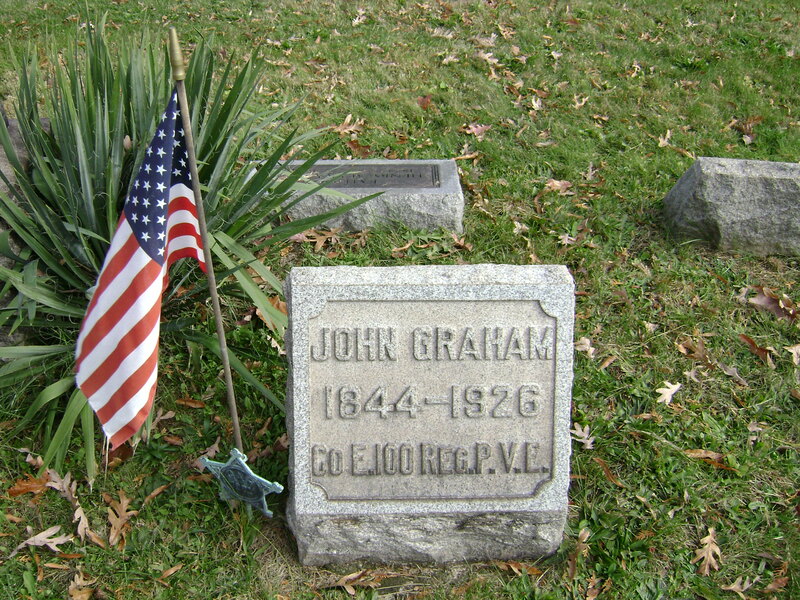 Grant, John D 30 not found 1865 Substitute, wounded at Fort Stedman, VA 3-25-1865. Gray, Charles H 19 19-Dec-1901 not found Per ACWRD, Jan 31, 1865 substitute--mustered out with regiment July 24, 1865. Greer, Thomas A 18 possible match #32592829 lived in Washingto Co. after war per ACWRD. 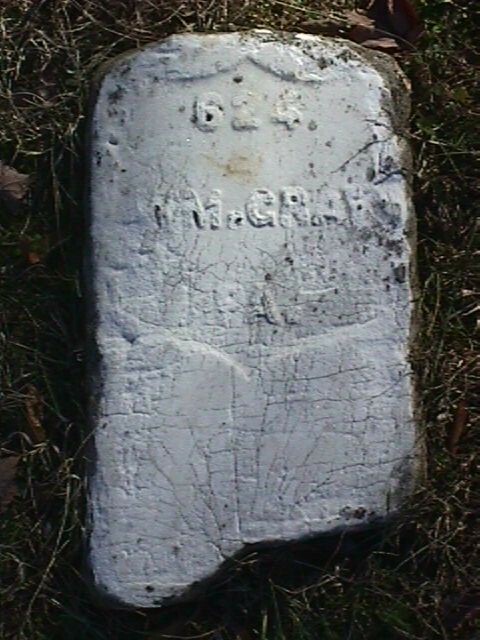 Possible match for findagrave #32592829 for Thomas J. Greer, Civil War veteran buried in Beaver Co--need more information. Gress, John K 43 not found Per ACMWRD, 1862 recruit--no further information found. Griffith, Thomas G 21 not found 1861 recruit, deserted Aug 29, 1862. Grist, Samuel M 38 Westmoreland Co. Rostraver Twp. Westmoreland Co. PA April 20, 1877 Washington Co PA X 11723393 On 9/5/1861 he mustered into "M" Co. --He was Mustered Out on 7/24/1865; widow Mary M.
Gross, Charles E. E 18 not found Jan 31, 1865 Substitute--mustered out with regiment July 24, 1865. Grundy, Calvin B 18 dark 5' 7" brown brown lab. Lawrence Co., Pa. Pa. not found Per ACWRD, died of disease, date unknown--measles. Guist, James H. B 17 dark 5' 7 1/2" black dark lab. Meadville Pa. not found Not on M.O. No further records available. No information from ACWRD. Guist, William E 21 Toeman Mercer Co. Mercer PA Mercer Co. PA before 1884 Mercer Co. PA not found died prior to Oct. 15, 1884 reunion photo; discharge papers lost; widow Elizabeth based on 1890 census Died in Portland, OR per ACWRD.